Come experience the best value for money proposition in the heart of Mumbai. 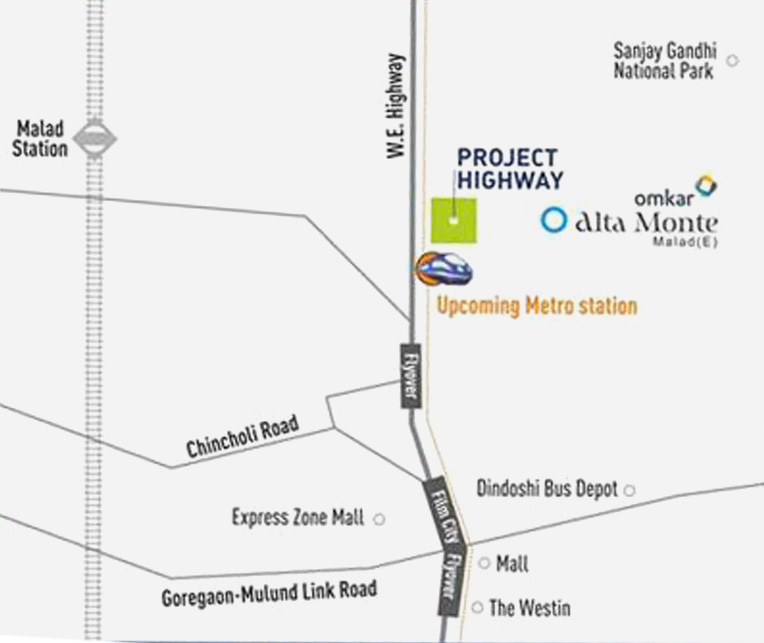 With direct access to the Western Expressway highway this new development by Omkar at Malad (East) offers efficiently planned and luxurious 1 & 2 bed boutique homes having uninterrupted views of the magnificent city skyline, the Gorai Pagoda and the glorious sea line. Experience an array of lifestyle amenities, convenience shopping and much more. All brought to you by a lineup of international partners to ensure utmost quality. Since its inception in 2003, Omkar Realtors and developers have created opulent spaces that have epitomized the pinnacle of luxury. They have delivered projects spanning over a 4 million sq ft across residential and commercial sectors. The company is currently developing over a 20 million sq ft area in Mumbai amongst which is the super tall Omkar 1973, Worli and the Alta Monte, Malad(E).